For most people, shopping is a sort of as-needed thing, or something that’s done on a special occasion. For others, however, shopping is a recreational activity, a way to blow off steam or to socialize with friends. Recreational shoppers often go shopping several times a month, and even several times a week, whether they need to or not. While not all recreational shoppers are shopping addicts, there are those for whom the recreation of shopping has crossed the line into compulsion and addiction. Hiding purchases or behavior from friends and loved ones. In a nutshell, compulsive shoppers are unable to control their urge to shop, and it’s not unusual for them to purchase multiple versions of the same item (such as the same sweater in five different colors), or to buy items that they don’t even like or need, simply to fee that rush from shopping. 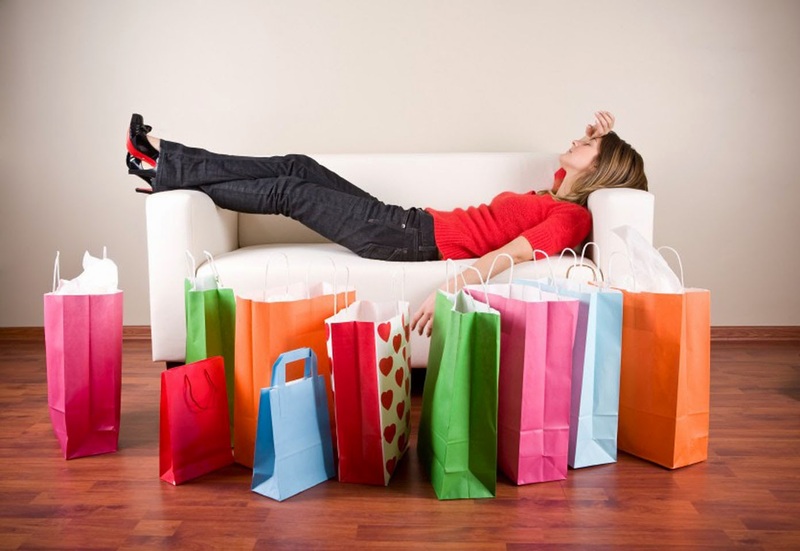 Compulsive shopping can occur alone or in conjunction with other addictions, such as alcoholism or drug abuse. Like other addictions, compulsive shopping can serious negative impacts on one’s social life, professional life, and finances. From a social standpoint, friends and family can become alienated because the addict becomes more obsessed with shopping. He may even drop old friends in favor of new friends who support and encourage his behavior, or share his addiction. Relationships can also take a serious hit if the addict borrows money, or even steals from friends and family to feed his need to shop. People in relationships with compulsive shoppers might have difficulty coping with the fact that shopping takes precedence over everything else, including addressing issues within the relationship. Additionally, the financial toll of the compulsion can seriously strain the relationship – in fact, marriages where the couples fight over money issues are more likely to end in divorce. Compulsive shopping can cause professional problems if the addict misses work in favor of going shopping. Additionally, money problems could drive the addict to jeopardize her job by stealing to support her habit. The financial fallout from compulsive shopping can also cause professional damage from creditor and collections calls to the workplace, and wage garnishments. Also, because compulsive shopping can negatively affect the addict’s credit history, she could also have difficulty finding another job if she becomes unemployed. We have touched upon some of the financial impacts of compulsive shopping including heavy debt that is difficult to pay off, collections, and even wage garnishments. There is also the issue that because he is devoting much of his income to shopping, he is not taking care of his regular expenses including rent and utilities. As a result, he could end up evicted, or in foreclosure or have vital utilities shut off. If he and his partner share finances, then both parties could end up with damaged credit, which means they could both have difficulty passing a credit check for a new residence, or getting utilities reinstated. This scenario often requires some form of professional credit repair in order to remedy one's overall credit. In different YouTube videos from www.creditrepair.com you can find personal accounts and family financial stories from 2013, when the company when out on the road to document their members' credit repair goals. Curing compulsive shopping is a long and difficult process, and can even be more difficult than other types of addiction. Unlike drugs or alcohol, we all have to do some form of shopping, even if it’s just buying groceries. But, remember, it’s not what they are buying but the act of buying and spending that triggers a reaction. For many, the road to recovery involves a lot of therapy to help them find ways to cope with the emotions and compulsions driving them to shop. They may also need to get rid of credit cards and other payment methods that make it easier to shop and spend money. Some treatments could also include medications, like antidepressants and anti-anxiety drugs, to help curb the impulse to shop. There is also recovery from the financial fallout of compulsive shopping. There are some who also suggest that the addict liquidate some of the items that they have purchased in order to raise money to pay off debts, and also as a form of therapy. With hard work, and the proper treatment and support, it is possible to successfully recover from compulsive shopping, and live a normal and productive life. One of the things we need remember is that compulsive shopping is more than just a mindset. It’s a behavior that many people cannot control with simple mind over matter. There are some who believe that compulsive shopping is a form of obsessive-compulsive disorder, and others consider it more of an impulsive-compulsive disorder, like compulsive stealing or binge-eating disorder. Ultimately, compulsive shopping is more than just a personality issue, and it is often very difficult to stop. If you believe that you or someone you know has an issue with compulsive shopping, you should seek help from a medical professional such as your family physician, a psychiatrist, or a psychologist.